NASA announced on Tuesday that the Kepler mission - which has transformed how we understand planets outside of our solar system - is officially over. Earlier this year, it became clear that the Kepler Space Telescope was running low on fuel - NASA has since been planning a replacement to take over the iconic satellite's ongoing search for exoplanets. Its ability to point at distant stars and identify possible alien worlds worsened dramatically at the beginning of October, but flight controllers still managed to retrieve its latest observations. Launched in March 2009, the $600 million Kepler mission searched the night sky for Earth-like planets using what's called the "transit method". Kepler's mission was to determine if earth-like planets are common or rare outside our own solar system and was originally meant to only last three-and-a-half years. It's the pioneering telescope which, for those of us on Earth, filled the galaxy with planets. Nasa said it has made a decision to retire the spacecraft "within its current, safe orbit, away from Earth". "We know the spacecraft's retirement isn't the end of Kepler's discoveries", Kepler's project scientist Jessie Dotson said. "Now we know there are billions of planets that are rocky like the Earth and are orbiting their stars in the habitable zone, or the Goldilocks zone, where their temperatures might be conducive to water on the surface". "It has revolutionized our understanding of our place in the cosmos", Hertz said. In that time, it has spotted thousands of exoplanet candidates and shown us that planets are rather ubiquitous, outnumbering stars in our galaxy. Such data has allowed scientists to better interpret stellar behavior and properties-critical to the study of stars and the planets that orbit them. Nasa's retired principal investigator for the Kepler mission, Bill Borucki, described it as an "enormous success". It has already identified two potential planets. 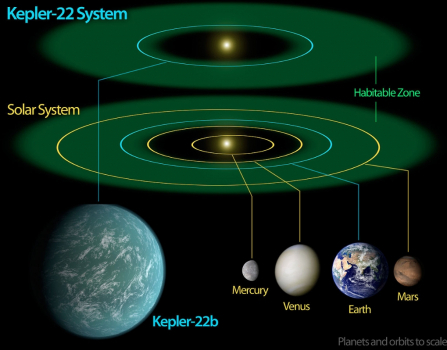 "The science and new discoveries were fantastic and changed our view in many fields of astrophysics and planetary science, including, of course, exoplanets", Kepler scientist Steve Howell said via email. Planetary exploration is going through a wider-ranging changing of the guard: For example, NASA's Dawn mission to the dwarf planet Ceres is ending, due to the same empty-tank issue that Kepler faced. The final commands have been sent, and the spacecraft will remain a safe distance from Earth to avoid colliding with our planet. And recent glitches with the 28-year-old Hubble Space Telescope and the 19-year-old Chandra X-Ray Observatory have signaled that those grand-scale telescopes are past their prime, mechanically if not scientifically. The Supreme Court has banned local media from reporting on the case until the judgement is announced. The Pakistani Supreme Court will decide Wednesday whether Asia Bibi will live or be executed. It was the work of a seasoned veteran staying calm under fire. "We want Canelo [Alvarez]", Jacobs told Max Kellerman in the ring. Alberto Machado put on a spectacular display of power in his first round knockout over Yuandale Evans. Pakistan thrashed Australia 33 runs in the the third and final Twenty20 worldwide to sweep the three-match series on Sunday. The conditions are expected to be warm and dry, but there is a small possibility of showers. There is obviously demand for the sport in the United Kingdom as Sunday's Eagles-Jaguars game was played in front of 85,870 fans. 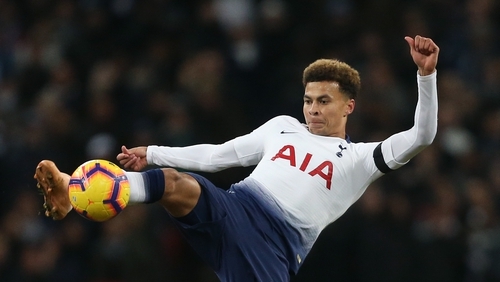 The NFL played a trio of games in London in 2018, with all three at Wembley after delays in the Hotspur stadium construction. Announced prior to E3 2018 , Fallout 76 is the latest instalment in post-apocalyptic role-playing game (RPG) series Fallout . In addition to the new trailer, another B.E.T.A.is scheduled for Xbox One , PS4, and PC on October 30 from 7 p.m.to 11 p.m. This included the integration of Open Match , a scalable, open-source matchmaking system that Google Cloud co-founded. The game is a simple but playable arcade in which you, a ghost, team up with other ghosts to collect "Spirit Flames". On Tuesday, Danish intelligence chief Finn Borch Andersen confirmed the measures had been taken to prevent the planned attack. This is the second time in a few months that Iran is blamed for attempting to hurt Iranian opposition activists overseas .